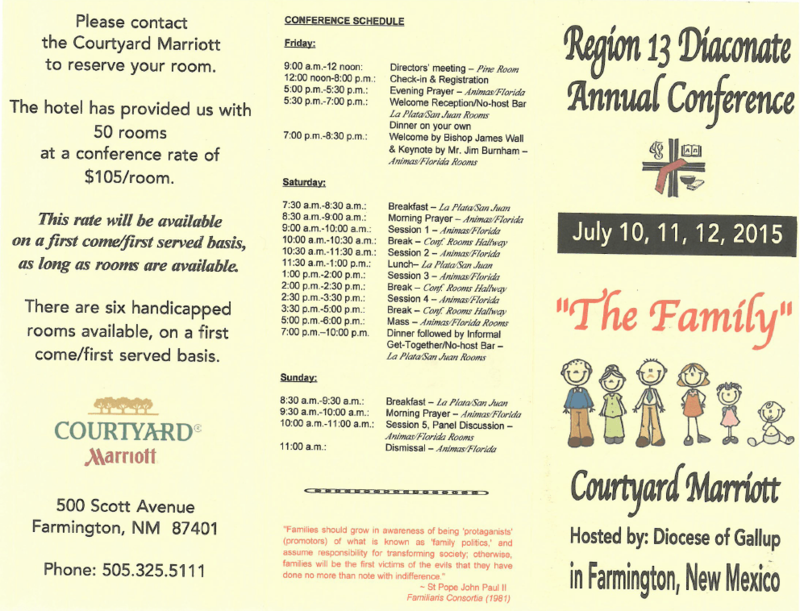 The Region 13 conference, held in Farmington NM, is an annual gathering of Deacons from the Four Corner state and Wyoming. The purpose of the conference is to educate and inspire Deacons and their families to better serve their home communities and parishes, with the theme for this year focusing on “The Family”. 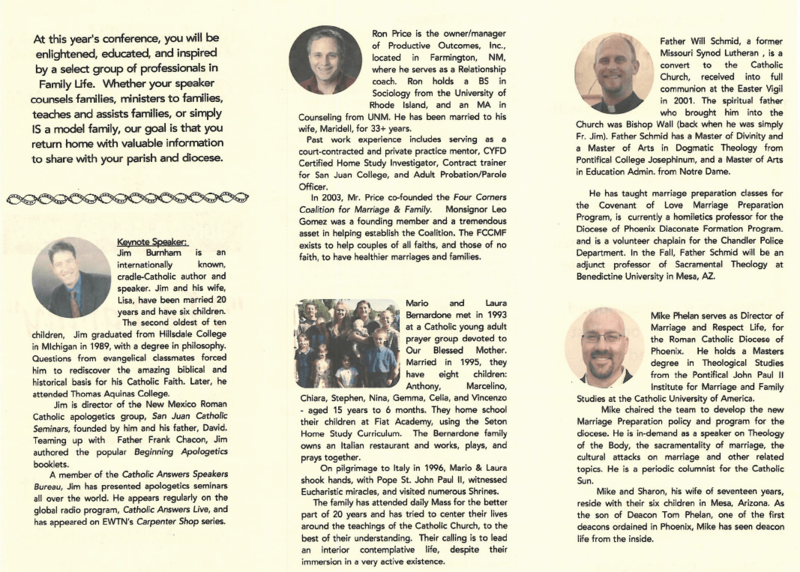 The keynote speaker for the 2015 conference will be Mr. Jim Burnham of Catholic Answers. The schedule can be viewed below. Download the registration form for the conference here.